Meet Accenture on campus. Explore career adventure opportunities for undergraduates. Meet Accenture on campus, explore opportunities and embark on your own career adventure. Meet Accenture on campus! 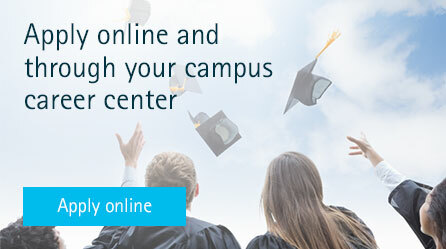 Select your school for details on career opportunities, events and more. Don't see your school listed? Visit our careers site to learn more about Accenture and apply for open positions. Are you ready for an adventure? Do you want to make an impact? Accenture, a leading global professional services company providing a broad range of services and solutions in strategy, consulting, digital, technology and operations, is looking for future leaders, idea generators and strategic thinkers to join our team. In return, we’ll provide you with a challenging and rewarding career. Explore this page, connect with us on campus and follow us online to learn more. What are you waiting for? Take that next step. It’s your career. Your adventure. Accenture is on your campus in the fall and winter. Check our calendar for Accenture events and application deadlines on your campus. To apply for a position please submit your application through BOTH our website and your campus career center. Put your degree and skills to work. We’ll help you build the roadmaps that’s right for your career - including a few twists and turns to keep things interesting. Do you want to make an impact in the world around you? What are you waiting for? Take that next step. If you have passion, a brilliant mind and an appetite to grow everyday, this is the place for you to collaborate and innovate.